I tried something new yesterday afternoon! The woman I share an office with asked, “Have you ever tried birch juice?” (Kasemahl in Estonian). She had a chilled 1.5-liter bottle of what looked like plain water sitting on her desk. Always up for trying something new and completely clueless as to what to expect, I had her pour some of the clear liquid into the mug I keep at my desk. It looked like water and poured like water. I stuck my nose into my mug and gave a deep sniff, as if I was tasting a fine wine. It smelled fresh and sort of sweet (like a tree, I suppose). “Did you make it yourself?” I asked, not sure if this was the kind of thing people generally made at home. She hadn’t, but my supervisor joined us and said she’d made birch juice at home a few years ago. I took a sip, and at first I didn’t taste anything. The other two agreed that this batch had a very mild flavor. However, the flavor seemed to develop and become more pronounced the more I drank. It tasted as though somebody had dissolved a spoonful or two of molasses into all that water, leaving it subtly sweet with a bit of earthiness. It was really refreshing and, as I found out when I did a bit of research, really healthy as well! 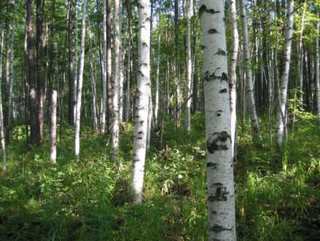 Birch juice contains potassium and high levels of vitamin C, among other things, and is supposed to help with stomach problems, improve circulation, and do a host of other beneficial things. I might have to buy some of this stuff for myself! However, I also discovered that it’s highly perishable and only keeps for a few days, even when refrigerated. This is the kind of situation that makes me love living abroad. I’ve been here for over four years and know quite a bit about traditional Estonian food, but there are still things out there I’ve never experienced. And I love it when I find them, especially when they manage to brighten up a typical sleepy Monday afternoon. It’s highly perishable indeed, and only lasts for a few days. However – you could freeze it (they sell frozen birch sap in NOP, for instance) or ferment it (it’ll taste all but mild then, of course). I must admit I’m not a fan of the fermented birch sap, but there are lots of people who like it. I would be interested to try the fermented version as well — I should keep an eye out for it. Is it true that you put raisins in the juice to start the fermentation process? I thought I read that somewhere. You should try maple tree juice. Now that’s fantastic! My coworker said she actually wanted to buy maple tree juice, but the stand she was buying it from only had birch juice left. I’ll keep an eye out for maple as well :-). This sounds wonderful and exciting! I’d love to try it!